Made from a variety of foam formulas, including EPDM rubber tubing and NVPC foam, you’ll find the solution for almost any hand grip application in Trim-Lok’s extensive line of rubber and foam tubes. Whether you prefer contoured foam hand grips that are buffed for better grip or foam tubing with straight end cuts and skin that allow you to customize and contour the grip yourself, we offer both varieties on our site. Our contoured foam hand grips are available in two different versions, one is manufactured with EPDM rubber while the other is manufactured from NVPC rubber. Although the NVPC foam is the standard in the industry, we also offer EPDM rubber tubing for those interested in a more tactile feel. 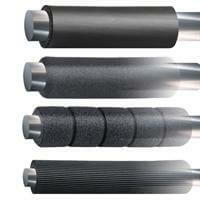 Regardless of the type of rubber you choose, our contoured foam hand grips are designed to meet your needs. Both types of rubber are available in medium density, providing the perfect combination of softness and durability. Since it’s the most versatile in nature, medium density products are the most commonly used and should work in virtually any application. Similarly, our foam rubber tubing is available in both EPDM and NVPC rubber. 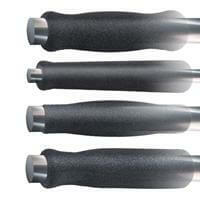 Since our flexible rubber tubing comes with straight end cuts, it’s easy to customize and even easier to install. While our contoured foam grips are only available in medium densities, our foam tubing is offered in both soft and medium densities. Although soft rubber tubing is slightly less durable than medium density rubber, they’ll still perform well on many low-priced consumer applications, such as bicycles, brooms, motorcycles, and other long-handled tools. Since 1977, Trim-Lok has been a leading supplier of plastic and rubber products, including contoured foam hand grips and foam tubing. All Trim-Lok products are proudly manufactured in America and use only high-quality ingredients. 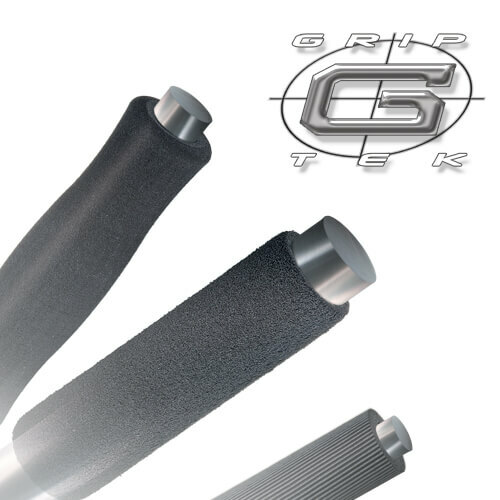 With easy application, customizability, and versatility in application, our contoured foam hand grips and rubber tubes are guaranteed to meet or exceed your expectations. For more information about Trim-Lok’s rubber and foam tubing, request a sample or contact a local sales representative today. Grip Tape wraps around handles to create a non-slip, tacky surface.